Most retirees live on fixed incomes and have limited savings, so renting vs. owning in retirement is a real debate. Home ownership and maintenance, especially during the retirement years, can be mentally, physically, and financially exhausting. Retirees who own a home are essentially tying themselves down to one location for the foreseeable future. Retirees are vulnerable to all of the unexpected costs and emergency expenses that come with home ownership. The average mortgage can be anywhere from $250,000 to $400,000. However, the average retiree requires income of at least $40,000 a year to financially sustain themselves. While the average mortgage payment is about $1,000 a month, the added expenses that come with maintaining are roughly 1% of the home’s value per year. There are additional monthly, seasonal, and annual costs associated with insurance, taxes, aesthetic property maintenance and more that must be considered as well. Retirees who rent have more freedom to consider their future residential choices. They don’t have to worry about issues of liquidity or market values that comes with selling a home. YES, sign me up! Market-destroying trades for serious short-term investors that crush the indexes in days, not months or years! The landlord is the one who must contend with home maintenance and repairs. Renting can allow a retiree the ability to better maintain a budget and cost of living standards. There are absolutely no guarantees of convenience for a retiree when it comes to either renting or owning a home. The only thing that may be more certain than death and taxes is inflation. Taxes, insurance, maintenance costs, mortgages, rents, and the cost of living will always steadily increase, so rent goes up. Still, when it comes to living on a fixed income, retiree renters can manage their budgets more efficiently than homeowners. Homeowners simply have more unplanned expenses to deal with compared to renters. Additionally, the ability of most retirees to deal with home ownership expenses decreases proportionally with age. Contrary to popular belief, most retirees do not enter their retirement years flush with disposable incomes and ready to travel the world. According to research compiled by the Economic Policy Institute, the average pre-retirement age person between the ages of 55 and 61 only had about $17,000 in savings. Only less than 13% of Americans have a pension that they can depend on for supplemental income in the future. Meanwhile, the average annual social security payment is less than $16,000. The average pension income is about $15,000 while the average minimum wage salary for most working retirees is just over $23,000. The salaries for working retirees drops proportionately with age. 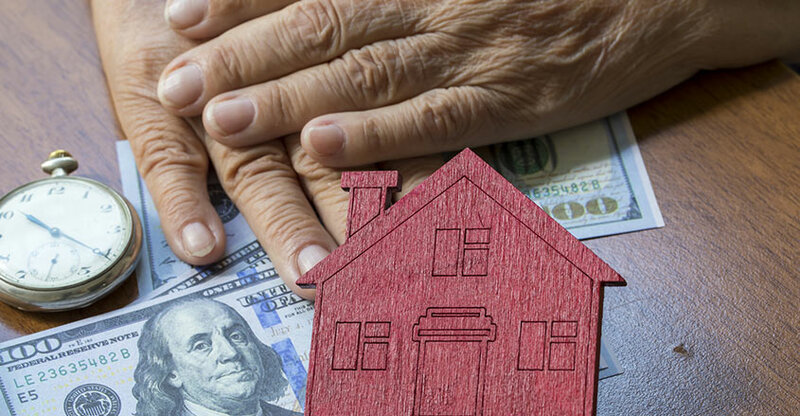 The fixed income realities of most retirees make it difficult for them to realistically maintain the financial realities of home ownership, especially for the long term. Even for retirees who may be able to deal with homeowner finances, old age may render them unable to physically maintain their property. The human life expectancy is a lot longer. Still, the average person lives until about the age of 70, with women living a little longer than men. A person aged 65 can expect to live for another few years up to three decades. Embracing one’s own mortality is difficult enough on a personal level and absolutely daunting to consider as a home owner. When you rent a home, the landlord must worry about repair and maintenance. Homeowners have to worry about those issues themselves. Shoveling driveways, repairing staircases, fixing water heaters, painting rooms, moving heavy equipment, and many other home maintenance tasks can become serious health risks for retirees in their 70s and 80s. Home maintenance needs will increase progressively as retiree homeowners age to a point where they just can’t accommodate those needs. Additionally, the greatest expense that most retirees will have to contend with has absolutely nothing to do with mortgages or standard of living expenses. It’s health care expenses. Exclusive Access: Get Frazier’s Small-Cap Profit Confidential delivered to your inbox! The average retired couple will have to spend at least $280,000 on health care related expenses throughout retirement. That’s after taxes and non-inclusive of the costs related to long-term health care needs. These issues increase exponentially for widowers, divorcees, and single retirees, especially on an emotional level. An unexpected health issue might precipitate retiree homeowners to sell their home at a moment’s notice. Yet it can take weeks, months, or years to sell a home. It can be an emotionally grueling experience to sell a home at loss, deal with paperwork, and agents as a retiree is in poor health. Renting vs. owning in retirement allows retirees the breathing room to make decisions on their own time. They can stick to their own budgets. Renting is almost the equivalent of a home lifestyle insurance policy. Renting means that retirees are not liable for regular maintenance, catastrophic incidents, repairs, or mortgage payments. Additionally, the average person lives in a home for about seven years. Renting can allow a retiree ample time to consider where they may want to settle down later. Exclusive Access: Get Keene Little’s Crypto Wealth Protocol delivered to your inbox! You will never be to old to own a house. However, the realities of life dictate that one day you will become too old to drive, exercise strenuously, generate significant working income, and physically maintain property. So, if you are choosing between renting vs. owning in retirement, consider such factors carefully before deciding. Hey Buddy!, I found this information for you: "Why Renting vs. Owning in Retirement Might Be Better". Here is the website link: https://realdaily.com/why-renting-vs-owning-in-retirement-might-be-better/. Thank you.